NATIVE! 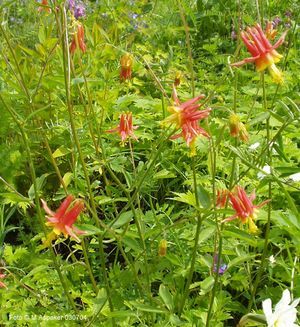 The familiar woodland columbine seen around the upper midwest. Red blooms with soft yellow corollas dancing on delicate stems above three-lobed foliage.